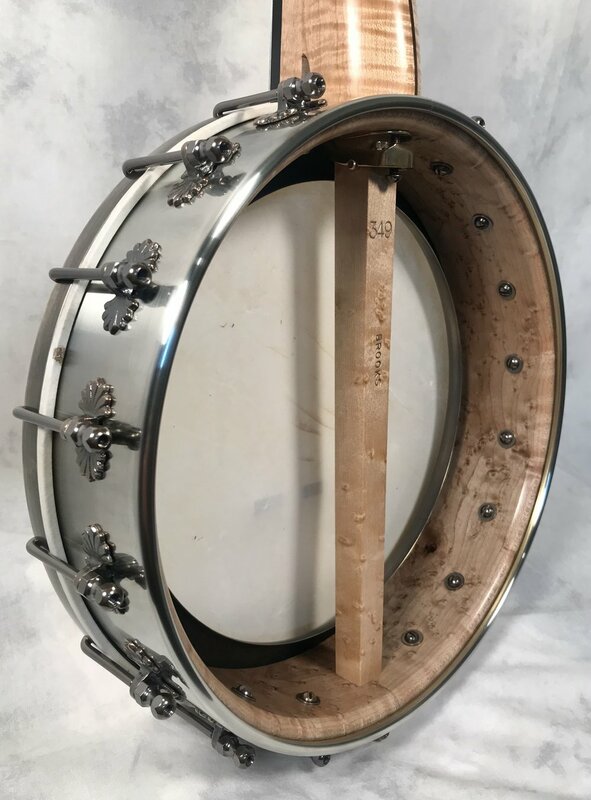 This banjo is an 11” silverspun banjo with a Dobson tone ring. It has a curly maple neck and a birdseye maple rim. This banjo has two Chinese coins inlayed in the headstock and it shipped to Hong Kong, China.